The Matrand mattress is a member of IKEA’s mattress line that is available in memory foam and latex version. The performance of a mattress highly depends on its structure and materials used. Thus, there is a difference between memory foam and latex mattresses that is very significant to the consumers. 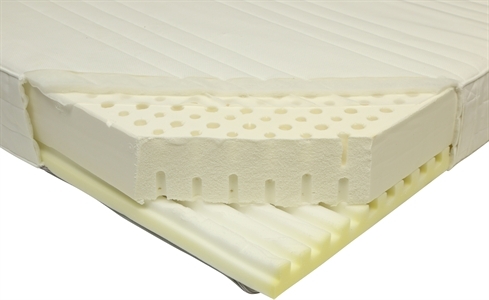 The difference lays in the fact that foam mattresses are known for the comfort they provide while latex is naturally a healthier and more durable material, but not as comfortable as memory foam. With latex mattresses, you’re less exposed to chemicals since the volatile organic compounds exposure is reduced. Both memory foam and latex mattresses provide a good support, necessary for proper spine alignment. However, latex will stay cooler during the night, compared to memory foam, but it doesn’t provide pressure relief as much as foam does. Structure is an important aspect to take into consideration when purchasing a mattress. The Matrand memory foam mattress consists of a top, memory foam layer of 3.1 PCF and the base poly foam layer of 1.7 PCF. The latex version consists of a combination of synthetic latex and the base poly foam layer of 1.7 PCF. Memory foam is known to provide comfort as it molds to the shape of your body, providing support and relieving pressure in shoulders and hips. Its structure allows you to fully relax and get a good night’s sleep. Latex, compared to memory foam, is not as comfortable but in the end it always depends on personal performance. Both Matrand mattress versions, memory foam and latex, come in four sizes: full, twin, king and queen size. They are both 18 cm thick as well. According to customers’ reviews, the 18 cm thickness is just enough to provide great support, without leaving them with back pain in the morning. The memory foam Matrand mattress consists of two layers and additional filling for comfort. The filling consists of polyester fiber wadding and significantly adds comfort to the whole mattress. The latex Matrand also has the polyester fiber wadding as additional filling. Both of the versions come with removable covers which allow easy cleaning. The ticking in both versions is made of a combination of cotton and polyester while the lining is made of non-woven polypropylene. Handles are attached to the cover, making the mattress easy to transport and move around. The covers should be washed in normal washing machine cycle, without tumble drying or drycleaning. For both versions IKEA recommends purchasing the Kungsmynta mattress protector to prevent tearing of the mattress over time. The memory foam Matrand mattress is firm and gives good support. However, some consumers have complained about it being too firm, which, again, depends on personal preference. This version is rated 8.5 out of 10 on the firmness scale while the latex version is rated 7 out of 10. Thus, the latex version is considered medium firm and more suitable for people who prefer a combination of a harder and softer surface. The Latex version of the Matrand mattress has received nothing but five star reviews on the IKEA website, making it stand out among other products in the line. The memory foam version doesn’t have as good of a rating because several complaints regarding off-gassing and firmness. While off-gassing is typical for foam mattresses, the Matrand memory foam mattress releases bad smells due to chemicals in the materials for quite a long time and it takes at least 4 weeks to air the mattress out. Latex, in the other hand, is natural and the chemical odor release is significantly reduced. Both of the mattress versions perform much better in combination with IKEA bed bases. The Matrand latex mattress goes best with the Leirsund latted bed base, which is adjustable and, thus, very convenient. Overall comfort is guaranteed with both versions of the Matrand mattress. Motion transfer is not and issue with the Matrand mattress since it absorbs movement very well. 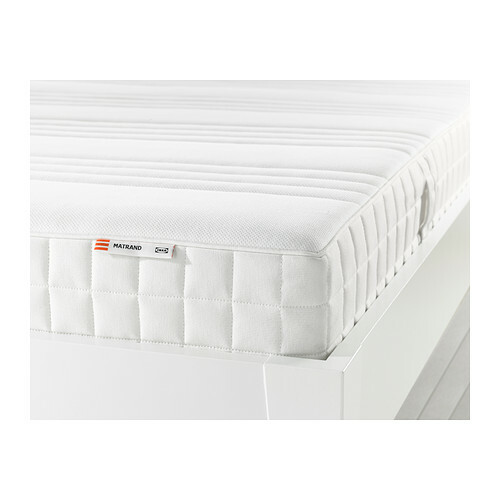 The memory foam is designed to fit your body type and provide support and pressure release for your whole body. Consumers who have tried the latex version have praised it for the comfort it offers. With the Matrand mattress, you’re guaranteed to get a good night’s sleep without waking up with pain and aches. Both versions of the Matrand mattress go for the same prices, depending on the size you choose to purchase. Compared to mattresses from other manufacturers on the market, IKEA offers the best prices for quality. All their products are designed and manufactured in Sweden, which adds to their quality, taking into consideration that many brands manufacture their products in China. All of their mattresses carry the same warranty and trial period policy. The warranty lasts for 25 years and is limited to manufacturing defaults only. The trial period is another generous feature that allows you to exchange the mattress you purchased for another one from IKEA’s line. Returning the mattress for a refund is not available. To be able to go through the exchange process, your mattress must be clean and undamaged. The Matrand memory foam and latex mattresses are roll packed, allowing you to conveniently transport them in a car. That way you will save money and time on shipping, which is another reason why IKEA’s products are so affordable. Convenience is always in mind with IKEA, creating a win-win situation for both the consumer and the company. However, since the mattress comes roll packed, it will take three to four days to regain its regular shape. It is ready for use right out of the package. 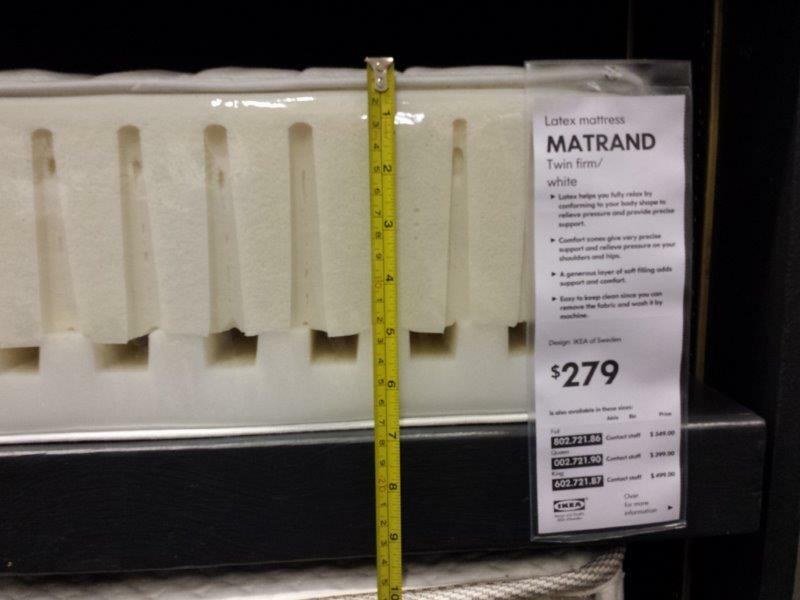 The Matrand mattress is a member of IKEA’s mattress line that is available in memory foam and latex version. The performance of a mattress highly depends on its structure and materials used.